Style. Function. Versatility. 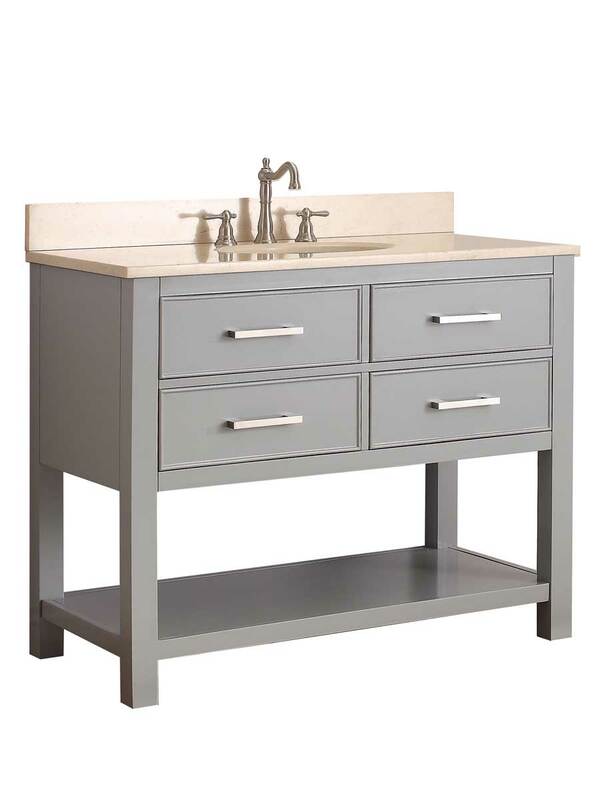 The 43-inch Begonia vanity will be the cornerstone of your bathroom, providing ample storage within its soft-close drawers and open-shelf base. 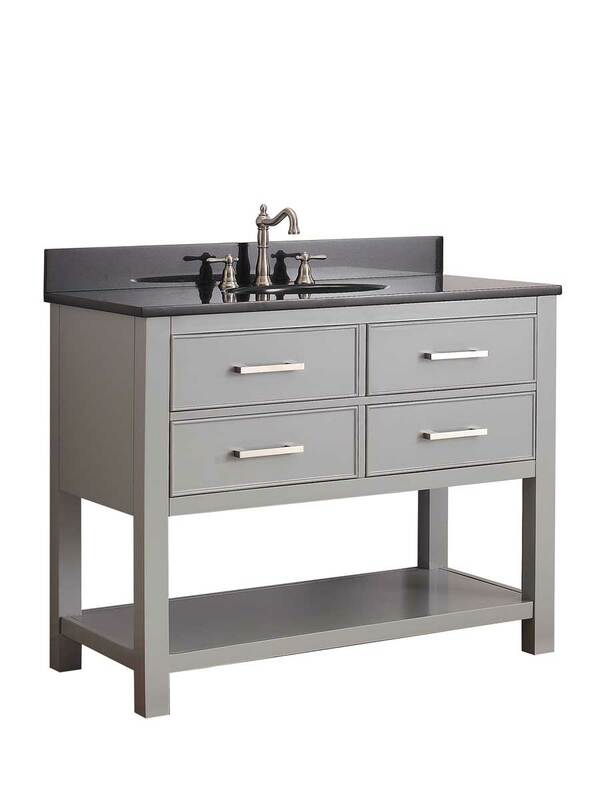 Featuring a Chilled Gray finish and clean lines, the Begonia embraces a transitional aesthetic that is timeless and pure. 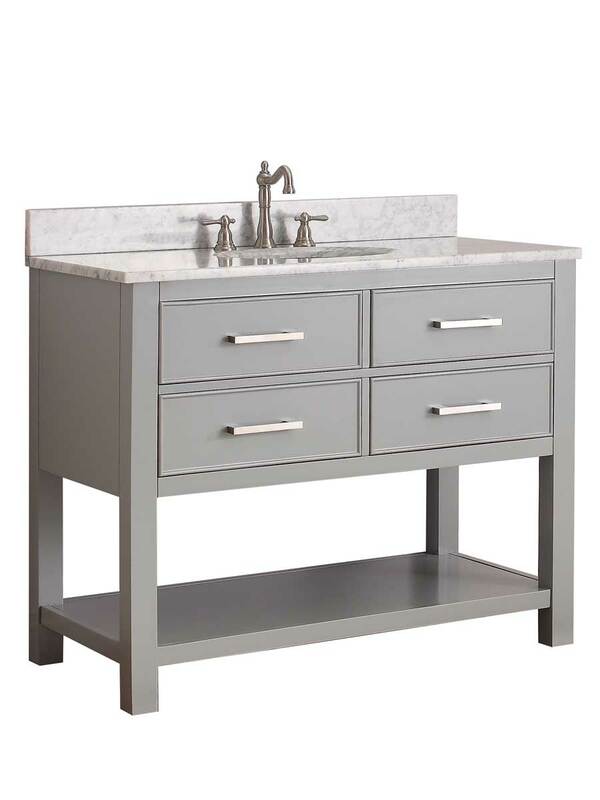 Match your vanity with a complementary top, mirror and medicine cabinet to complete the design of your dreams. 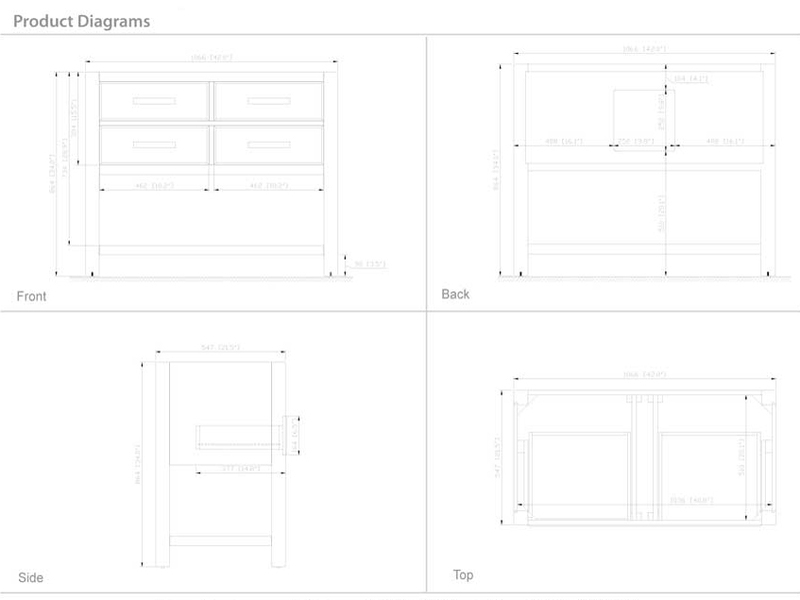 Small Mirror: 24" x 1.3" x 32"
Large Mirror: 28" x 1.3" x 32"
Medicine Cabinet: 24" x 5" x 30"